The first Piano Whitney column describes what museum goers at the fashionable eight floor of the Piano Whitney see when they look south toward New York harbor and beyond. It would take 15 minutes by boat to reach the Statue of Liberty and Ellis Island where my father entered the United States before World War I. The theme of the Return column will be not only on immigration but also the major migration taking place as Baby Boomers leave the suburbs for urban areas and architects follow them. The Steerage by Alfred Stieglitz is in the public domain. 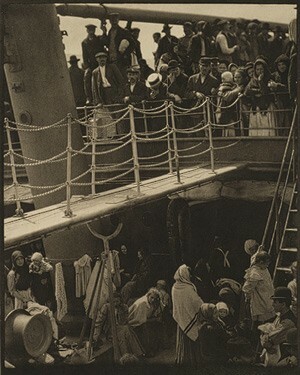 Stieglitz, whose work is part of the Whitney collection, took The Steerage 1907. This is the single most important photograph in my life. The photograph represents the theme of Joel’s Column: immigration and migration on a major scale with strong feelings about my father Isadore, who was born in Odessa, and took a ship like this one, to the Promised Land. A future column will discuss the implications of the phrase “Promised Land” and why it is capitalized. Photograph courtesy of the Whitney, photographer Karin Jobst. View from the Hudson River. Sarah Schmerler, who has been published in The New York Times and every serious art publication in New York City, has been covering the events since before the beginning; viz. the official press unveiling on April 23rd. Several days earlier Sarah took a great photo of dancing in the streets in front of the Whitney in preparation for April 23rd; in preparation for the official May first opening. On April 23rd, the day of the special press briefing, Sarah Schmerler took this photograph of the fashionable eight floor of the Piano Whitney. Published courtesy of the photographer. I will begin with my remote coverage of the Piano Whitney from rural PA. Included will be interviews, press clips, conversations with architects and others in the building community, plus, of course and my preconceived notions of Manhattan. 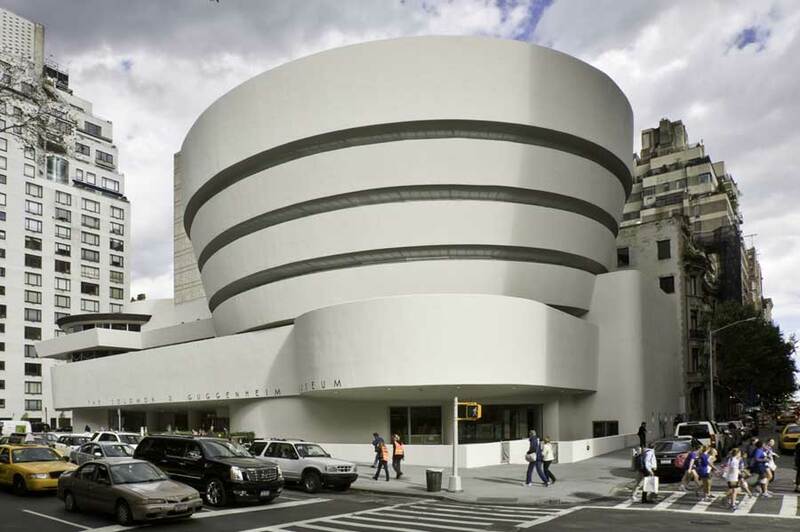 I will conclude my part of the Piano series after visiting the Whitney myself. I have a medical appointment on June 5th (where I save for a future column suggestions of medical facility design.) I will see the Whitney the following week. I take Sarah’s word when she is overcome with admiration for Piano’s Whitney. She has to stop herself with enthusiasm so she does not lose to spoken words the content of the article. This is an atypical a response from Sarah who has a reputation for thoroughness and publishing intensely critical reviews. I am in awe of Sarah’s awe. Here is the lead of my first Piano Whitney column. By early next week, the column will have a conclusion. 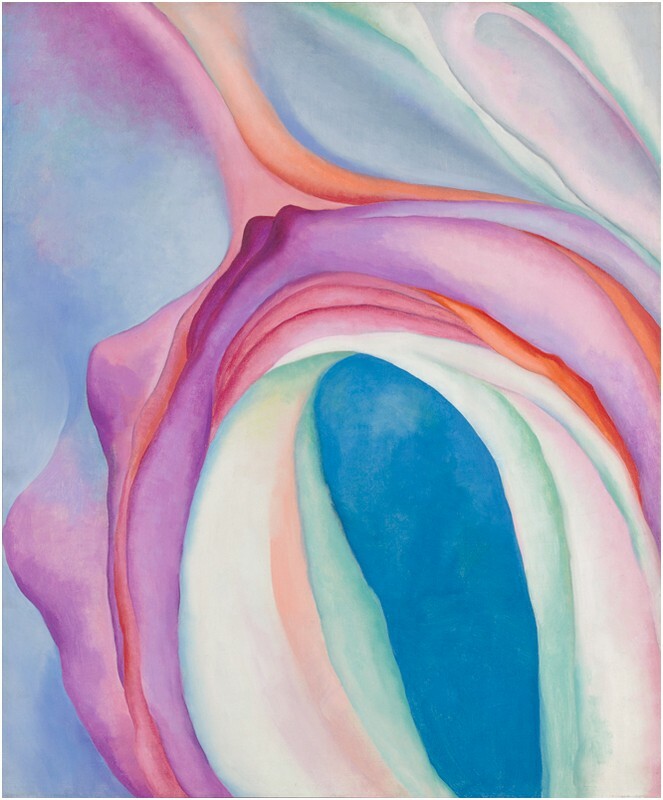 Georgia O’Keefe (1867-1986), Music, Pink, and Blue No2, permission to publish courtesy of the Whitney and the artist’s Estate. 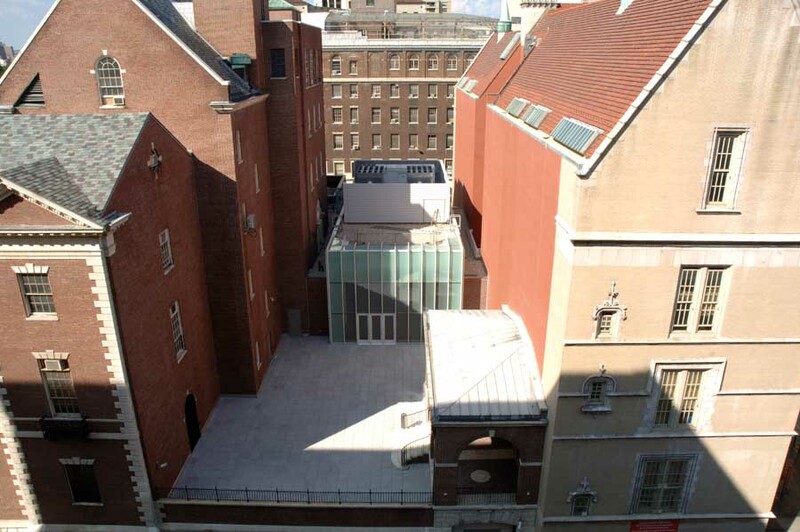 At the museum, Champaign poured on the eighth floor of Piano’s Whitney. 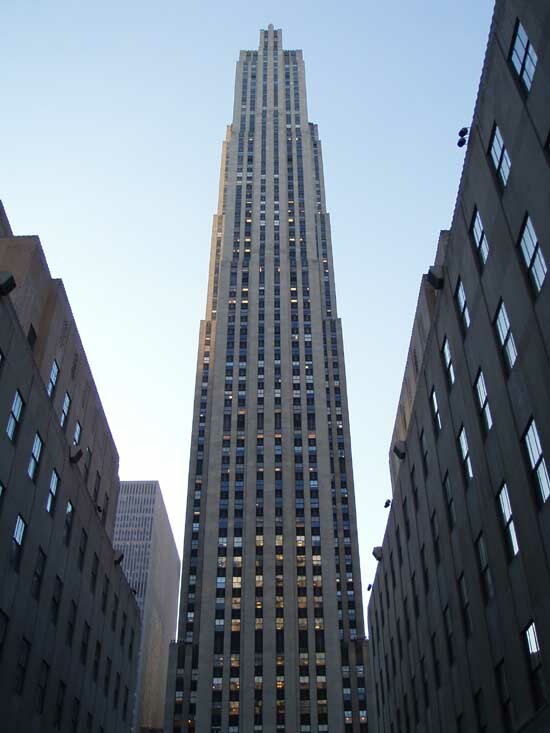 Partygoers had a wonderful view of the electric gleaming pink and blue as Georgia O’Keefe work, one of the Whitney collection’s most valuable paintings, was displayed as the first works of art illuminated on the Empire State Building . Georgia O’Keefe would have enjoyed the show. The Whitney Piano opening [which has opened so many times the May first official opening seems nearly insignificant] has swept New York in frenzy. The Renzo Piano Building Workshop has commissioned an official Whitney Piano bag for sale in the Whitney Bookstore. 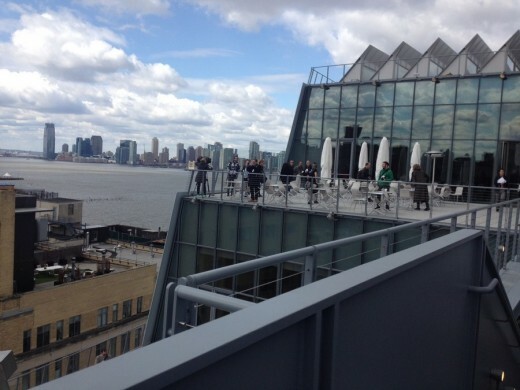 Courtesy of the Whitney Press site, I can see the Whitney’s view of the rest of New York City. Screen caption of this view facing south courtesy Joel Solkoff. If we haven’t already, let us start with the frenzy. This is the best frenzy I have experienced (even as I did remotely in rural Pennsylvania). 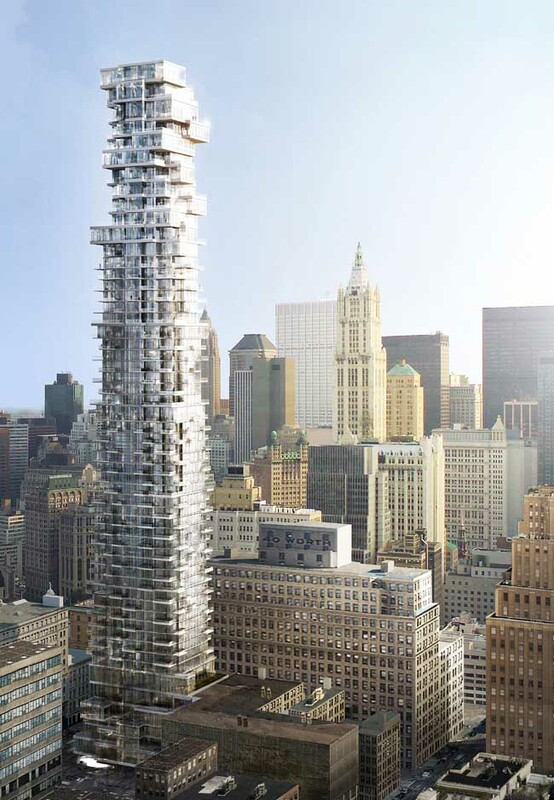 The first Piano Whitney column will begin with frenzy, move on to architectural criticism, take the bus to New York and see the Whitney myself, and describe Zaha Hadid’s 520 West 28th Street high rise condominiums which form the northern border of the Meatpacking District. 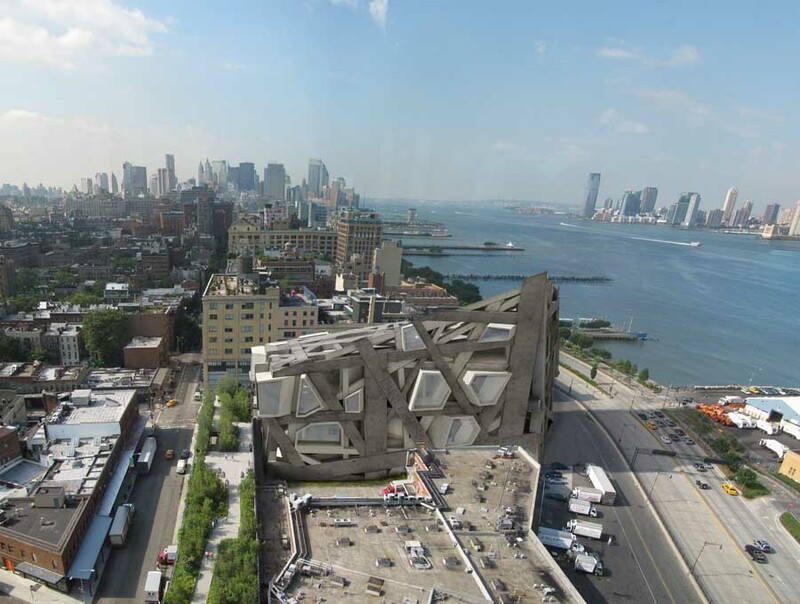 The following photograph, courtesy of Roger Howie at Zaha Hadid’s London headquarters, shows what Hadid’s first New York commission will look like when completed in 2016.